But... she has extracted the very essence of Stephen's original and timeless classic Page 45 logo for this sublime specimen of bespoke costume jewellery which quite literally says it all by itself. 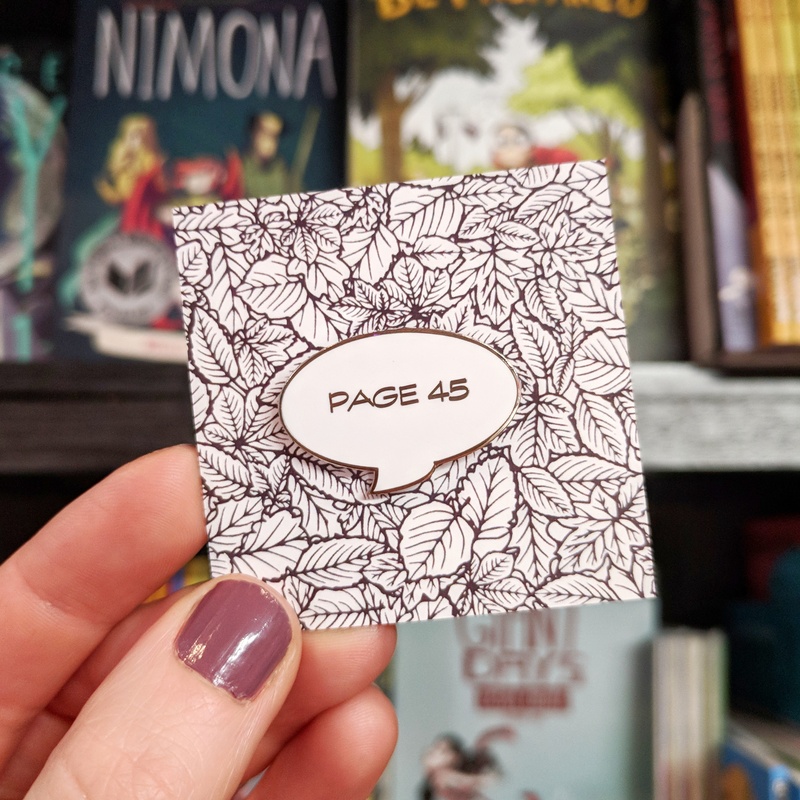 Well, it actually says "Page 45", obviously, but you get my point. With any random birthday / holiday festival / just-because-you-really-should-buy-something-special-for-someone-you-love day fast approaching, don't miss out on this summer's MUST HAVE accessory. "Cause if you liked it, then you should have put a pin on it." Don't just wear the trend, be the trend... Just like Bruce Banner single-handedly brought ripped jeans to the forefront of the public consciousness, we can do this! Even the leaf motif paper backing card is swoonworthy! Our Mark added that, almost immediately after we opened. In fact if you have any miniature picture frames kicking around, I recommend framing yours for posterity. Alternatively, go all-out comics crazy and pin the backing to your lapel as well!